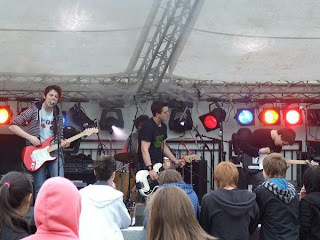 Since the start of the year I've started to get a lot of demos from up-and-coming bands in and around Scotland. My blogging's been a bit slow lately so there's a backlog of exciting new bands to bring to your attention. The guys will be playing a few shows in Glasgow and Edinburgh over the next few weeks. From what I've heard on their MySpace it might be well worth checking them out.